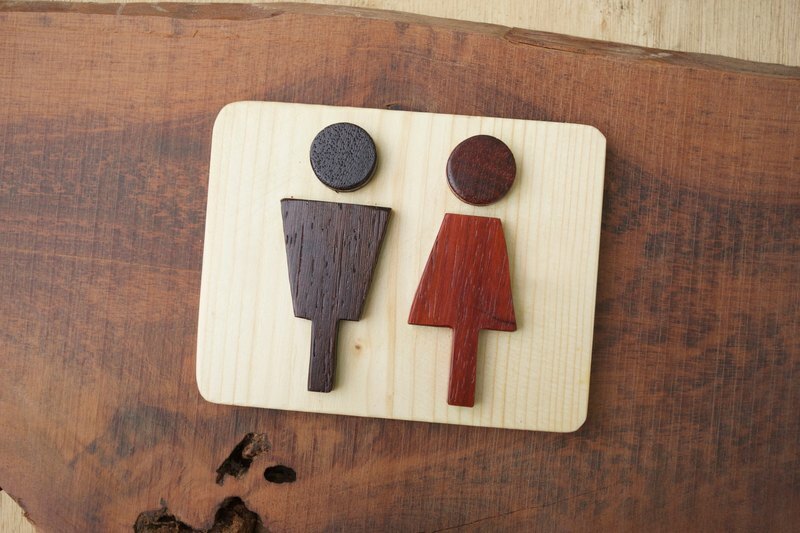 The super nice toilet sign is made of natural wood color! It is a design left by our dead Agong. Very cute and gentle things, Whether it is home or store use, All for texture extra points! It has not been dyed completely. The red part is the natural wood color of "red rosewood." Black is chicken wings. White is "spruce." Length and width: 12x9.4 cm ※ "No" screw hole options: can be double-sided adhesive or "sticky clay" paste (all are not included, please go to the stationery line to buy) ※ "Yes" screw hole option: Screw into the wooden wall, the screwdriver can be operated (with screws, you can also choose to buy from the hardware) ※ handmade, each will be a little different!